Put crackers in container of choice. 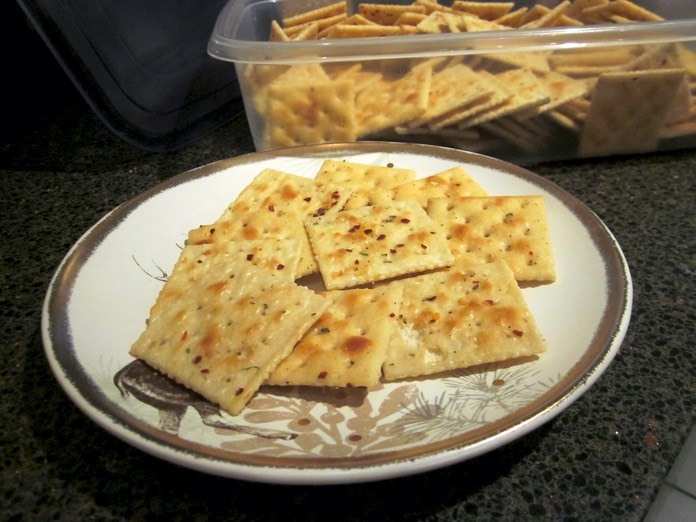 Mix all other ingredients and pour over crackers. Shake without breaking crackers for a minute or two. Repeat shaking about every 10 minutes 4 more times. They’re ready!! Store in a clean container. These are even better the next day and last for several days tightly sealed.